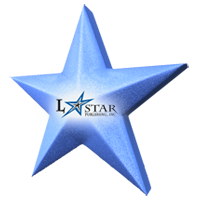 Jeannette L. Steve, age 98, of Groton, formerly of Ithaca and Trumansburg, passed away on September 14, 2013, at the Groton Nursing Facility where she had been residing for the past several years. She was born in Ithaca, NY, on January 26, 1915, one of five daughters, to the late Wirt and Catherine (Cochrane) Cook. She, along with her husband, built and operated the J&L Motor Court in Jacksonville. Her love and attention were devoted to that of her family, unselfishly giving of her time and talents. Eileen M. Cundy, age 85, of Lansing, passed away Friday, September 6, 2013, at Robert Packer Hospital, Sayre, PA.
Born May 5, 1928, in Elmira, NY, Eileen was a daughter of the late Clifford and Alice (Warner) Rodabaugh. She was a 1946 graduate of Odessa High School. Eileen spent her early married years raising her family in Hickstown, NY. When her children were older, Eileen returned to work and spent many years employed at Cornell University and later as a chef at McAnn's in VanEtten. It was in 1982 that she and her husband moved to Lansing and became the first residents at Woodsedge. She is a former president of the Woodsedge Resident's Assoc., the Lansing Senior Citizens, and in 1996 established a local group that sewed over 3000 bonnets for patients receiving cancer treatments. Sewing, painting, and crafts were on of Eileen's favorite pastimes. Her faith was also extremely important to her, and she was a very active member of the Lansing United Methodist Church. Richard Pitre, a loving father of two, age 62, passed away in his home on Asbury Rd., Lansing, NY, on August 29, 2013. Born November 4, 1950, in New York, NY, he was the son of the late Maximo and Alice (Lopez) Pitre. Richard enjoyed his time spent with family. He also loved fishing, puzzles, reading the Bible, movies, and was a major Yankee fan. If you were blessed to have met him, then he left an imprint in your life as well. Sandra J. Kane, 69, passed unexpectedly at home Saturday, August 3, 2013 with her family beside her. Born January 12, 1944, Sandy grew up in Lansing, NY where she graduated from high school in 1961. She met and married her soul mate and best friend, Bill, on May 25, 1963 after which they spent 50 wonderful years raising their beloved children. Sandy worked at Cayuga Medical Center's Billing Office for 34 years. She loved to travel all over the world, especially with her Q Country friends, to places like the Dominican Republic, Cancun, and the Bahamas. Sandy is lovingly survived by her husband of 50 years, Charles "Bill" Kane; her son Jeffrey Kane (Leslee) of Groton; her daughters Lisa Kane Kanellis (Peter) and Tracy Kane Smith (Douglas) both of Lansing; four wonderful grandchildren, Justin Kanellis (Jennifer) of New Jersey; Katie Kanellis Kramarsyck (Adam) of Boston; Cassandra of Virgil; and Travis Smith of Lansing; as well as her wonderful kitty, Sunshine, who she loved so much. Douglas W. Lehr of Peruville Rd., Lansing, NY, graduated to heaven peacefully at home on Friday, July 26, 2013, at the age of 46. Doug had always been a healthy and hard working individual and the Lord has now called him to his Heavenly abode. He can now finally claim a trophy of his own. Born April 25, 1967, in Urbana IL, Doug was a son of Frank and Mary (Falkenberry) Lehr. Outside of working at the Boxcar Restaurant & Ramada Inn, Doug was most passionate about his family. He was a beloved son, brother, and a wonderful uncle whose presence will be greatly missed. Doug enjoyed trains, kite flying, movies, bowling, NASCAR & helping others. Nancy Ann Nedrow, "Ann", of Holden Rd., Lansing, passed away July 8, 2013, at the age of 76. Born July 10, 1936 in Slaterville, Ann was the daughter of the late John Joseph and Rose May (Ramsey) Tierney. After graduating from Ithaca High School, Ann was married to Carl E. Nedrow. They settled into life in Lansing and began raising their family. Ann was an active parishioner at All Saints Church in Lansing and also sang in the choir there. She was also involved with the Tompkins County 4-H, Singing Sweethearts, the Lansing Historical Society and Lansing Senior Citizens. Ann's primary focus in life was her family which she welcomed many to be a part of. She also enjoyed crocheting, knitting, sewing, gardening, cooking, working word puzzles and traveling. Cora Mae Losey, daughter of Bronwyn Losey and Jeff Turney and sister of Muriel Losey, was born into her mama's arms on June 5, 2013 and passed on July 4, 2013 under the setting sun and surrounded by her family. She was a strong spirited little one whose attitude was bigger than her lungs, which failed to fully form. It was truly a miracle that our impossible girl stayed with us as long as she did, and for that we are forever grateful. Thank you for your visit our love, it was way too short. We saw you with our eyes for twenty nine days, but we've loved you forever and always will. Florence Marino passed away at Beechtree Care Center in Ithaca on June 24, 2013, at the age of 103. Born February 10, 1910, in Alderbrook, NY, Florence was the daughter of the late David and Emma (Roberts) Fadden. A resident of Lansing since 1958, she was retired from the Lansing Central School District where she served as a school nurse/teacher from 1958-1972. Florence enjoyed her family and was very fond of tending her flower gardens. She was a member of the Covered Bridge Society and also volunteered many hours with RSVP and the Tompkins County Chamber of Commerce. Frank Trinkl, 83, passed away at Cayuga Medical Center on May 20, 2013. He was born in Portland Point, son of the late Ignatz and Josephine Kukitz Trinkl and was a lifelong Lansing resident. Frank was president of the last class to graduate from Ludlowville High School before centralization and following graduation married Elizabeth Wickins, his one true love. They celebrated their 62nd wedding anniversary in August 2012. Frank spent his career working in the salt industry and retired from Cargill Inc. as traffic manager. He was a member of the Lansing United Methodist Church, where he served as treasurer for many years; was a 62 year member of Lansing Lodge 774 Free & Accepted Masons; and served in the United States Army. Frank was a master craftsman, designing and building wood furniture for his family. He was a kind, ethical and moral man who believed in doing the right thing, and loved his family above all else. 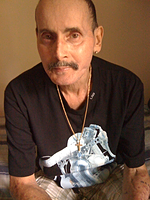 Calvin R. Warren passed away peacefully on Sunday the 12th of May 2013, at his home. Cal was born in Brooklyn, NY on July 19, 1945 to Lester and Helen Warren. He attended three years at Rhinebeck High School and completed his senior year at Horace Greeley High School in Chappaqua, NY. He came to Ithaca in 1963 with the intention to pursue a degree in Veterinary Science at Cornell University and soon fell in love with the area. In 1966 he was drafted by the United State Army and served as a forward observer in Vietnam with the rank of Sergeant in the 4th Battalion, 39th Infantry, 9th Division. Cal was honorably discharged and soon returned to the area he loved. Helen E. Jones Stoll, age 99, passed away May 3, 2013, at Groton Nursing Facility, Groton, NY. 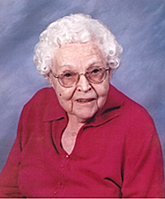 A long-time resident of Warsaw, NY, and more recently, Moravia, Lansing and Cortland, Helen was born in Hamer, ND on August 25, 1913, to Dow and Alice (Cunningham) Jones. She married G. Gifford Stoll on August 17, 1945. Helen was a registered nurse, graduating with the class of 1935 from Wyoming County Community Hospital School of Nursing, where she continued to work part time until the age of 70. She was a former member of the Order of the Eastern Star and the United Church of Warsaw. In addition to her parents, Helen was preceded in death by her husband, Gifford, in 1989; a daughter, Susan Simpson, in 1997, a sister, Violet Day, in 1961 and a grandson, Douglas Lewis. 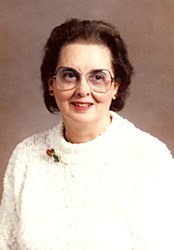 Marjorie C. Campbell, of Ridge Rd., Lansing, NY, passed away at Cayuga Medical Center on April 16, 2013, at the age of 75. Born January 8, 1938, in Ithaca, NY, she was a daughter of the late Robert and Margaret (Pachai) Corning. A graduate of Ithaca High School, Marge was married to Donald E. Campbell on September 8, 1956. Together she and Don often packed the car with five children, a large dog and camping gear for trips to remote places via a small boat or even canoe. The hearts of their children still harbor cherished memories made on those carefree traveling and camping excursions. Wilma L. Doe, of Oakcrest Rd. passed away April 11, 2013, at Cayuga Medical Center at the age of 94. Born August 30, 1918, in Spencer, NY, she was the daughter of the late Thomas and Mary (Weeks) Doe. Wilma is survived by her brother, Eugene F. Doe, and her cousins, Gale Stockton (Neil), Sharon Campbell (Dale), Gary Argetsinger (Karen), Robert Argetsinger, Danny Argetsinger (Carol) and Helen Matejka. Freeville - Raymond H. Robinson, age 75, of Asbury Road, Freeville, NY passed away Sunday, April 7, 2013 at Cayuga Medical Center. Born September 14, 1937 in Saratoga Springs, NY, he was the son of the late Harry and Edith Robinson. A US Navy veteran, Ray was a retired firefighter with the Ithaca City Fire Dept. and he also owned and operated a trucking business and was known to many as "The Gravel Hauler." Floy Ann Bowman Starks Hunter passed away February 11, 2013. Floy Ann was born June 15, 1925, in Norborne, Missouri, daughter of the late Edmond Newham Bowman and Grace Austin Bowman. Leaving severe drought conditions in Missouri, as a baby, Ann and her parents traveled to Ludlowville, NY in a 1920's touring car. Edmond's uncle, Frank Keim, told him there were lakes, trees and jobs in New York State. Ann started school in the one-room Drake Schoolhouse on Route 34B, and was a 1943 graduate of Ludlowville High School. She was a member of the King Ferry Church of the Brethren until its dissolution. She lived and worked in Ithaca, NY, North Carolina and Rochester, NY, before retiring from Blue Cross Blue Shield in Rochester in 1991. Ann was active in bowling and golf. Books and reading were a loving pastime, even buying books at an early age to teach herself to tap dance and play the guitar. 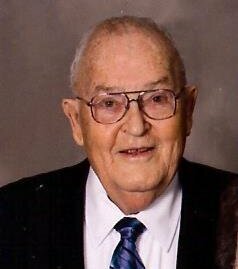 Archie L. Doty, Jr., 83, of Beach Road, Lansing, NY passed away Wednesday, Feb. 6, 2013 at the Cayuga Medical Center at Ithaca. Archie was born in Romulus, NY a son of the late Archie and Susie Lerkins Doty. He was married to the former Arlene Shevalier on May 29, 1948. Archie served honorably in The US Army from 1948 to 1953. He was employed at Volbrecht Lumber Co. and later was self employed as a pole barn builder and then went to work as an elevator operator at Cargill Salt Mine until retiring in 1993. He was a member of the Varna United Methodist Church and Lansing Seniors, Groton Seniors, King Ferry Seniors and enjoyed playing Bingo and traveling. He will be missed by his family and friends. Ruth M. Teeter passed away December 21, 2012, at the age of 86. Born January 3, 1926, in Moravia, she was the daughter of the late Lee and Mary (O'Heron) McCormick. 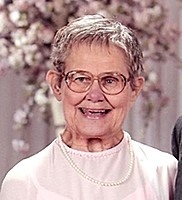 Prior to her retirement in 1982, Ruth was employed for many years at Cornell University as an administrative manager in the Animal Science Department. Ruth enjoyed her family, shopping, especially for jewelry, and scouting for antiques. Herbert W. Milliman, 71, of 86 E. Lansing Rd., Groton, NY, passed away on December 28, 2012, after an extended illness. He was born in Cortland, NY, on January 6, 1941, the only child of the late William Milliman and Garnett Tearman. Herb was a graduate of Lansing High School, where he excelled in sports, and was later inducted into Lansing High School's Hall of Fame and Section 4 Hall of Fame. Following graduation, he enlisted in the United States Navy. After an honorable discharge from service, he was employed for many years as a Public Safety Officer at Cornell University. Herb is survived by his wife, Debra Milliman; children, Michael Milliman (Tammy), Doreen Osterman (Mark), Douglas Milliman; grandchildren, Brian, Nolan, Kyle and Erica Milliman, Troy and Logan Osterman; stepchildren, Kristie Oplinger and Jeffrey Oplinger (Beth); step grandchildren, Benjamin and Michael Ward, Adam, Jenna and Jaxson Oplinger and Evan Manaseri. A graveside service, with Military Honors, at North Lansing Cemetery will be held in the spring, and will be announced at that time. Those who wish to make a contribution in Herb's memory, kindly consider the Tompkins County SPCA, 1640 Hanshaw Rd.,; The Cancer Resource Center of the Fingerlakes, 612 W. State St.; or Hospicare, 172 E. King Rd., all in Ithaca, NY 14850. Lansing Funeral Home is assisting the family. Hilda M. Argetsinger passed away December 24, 2012, at the age of 93. Born December 31, 1918, in Candor, NY, Hilda was the only child of the late Olin and Josephine (Baker) Cummings. Hilda grew up in the Danby area, graduated Ithaca High School in 1938 and continued on to graduate from Ithaca Business School. She was employed for many years as a bookkeeper with the Tompkins County Highway Department, retiring in 1975. Hilda was a former member of the Ithaca Assembly of God and served as their bookkeeper for many years. She was also a member of the Ithaca Senior Citizens and she enjoyed knitting and crocheting. Gail E. Baker, age 62, of Lansing has earned her wings and joined the good Lord in heaven on December 14, 2012. Angels awaiting her arrival are her late husband, Douglas A. Baker; her parents, Garfield and June Squires; sister, Cora Squires; daughter, Pamela Baker; grandson, Cameron Baker; and friend, Curtis Loomis.